My gooseberry bush is not thriving due to the drought. I have resorted to purchasing fresh berries, out of their capes to eat as is. Given that Dave could not buy gooseberry jam at our local farm store I decided to make some for him. Next I think I should try drying them to add to our granola. I am a huge fan of spreadsheets. At the end of the Eighties my friend Kim and I went on an Excel course. She was interested in learning the programme and I went with her. Before that I had made use of other spreadsheet platforms but since then Excel is my first choice. I still put into practice today what I learnt with her then. I use a spreadsheet for my shopping list and to work out our itinerary for our overseas trips. They come in handy for keeping track of who comments on my blog and how often. I even do our company price lists in a spreadsheet. Every now and then I make proper use of Excel and create financial sheets. I have one to calculate our monthly deposits, and another one to work out my monthly budget. Most recently I formulated a spreadsheet to show our tenant how his deposit refund was calculated. For some reason he could not understand the statement of the account that I had produced for him. And I thought the explanation on a spreadsheet would assist him. But, he could not understand that the one cash payment he had made could not be offset against two different charges. In simple terms, total charges less total payments equals deposit refunded. And yet no matter which way I showed him this, he could not see it. It makes me so frustrated and leaves me in not such a sweet state of mind. So, to sweeten my mood I made some gooseberry jam. This is Dave’s favourite and I am so pleased that he loves it. Do you get gooseberries where you live? 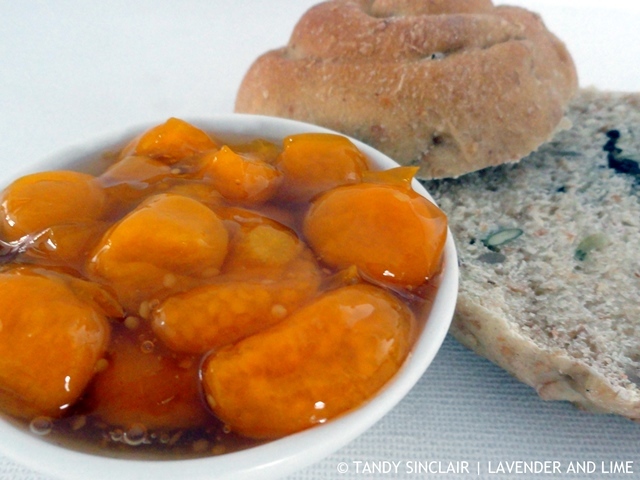 I have never actually eaten gooseberry jam before. I would love to try some. Can you grow your own gooseberries? Oh really enjoy gooseberries! So expensive here though. Nice jam and love the idea of drying them for granola. I gather they are not local produce then? Hi Tandy, I don’t think I’ve ever seen a gooseberry will start looking for them, this jam looks delicious. You seem like a very organized person, my husband is real good about keeping track of things on excel too. Have a great weekend. I haven’t seen gooseberries that colour before. Interesting. What colour are they in Australia Liz? 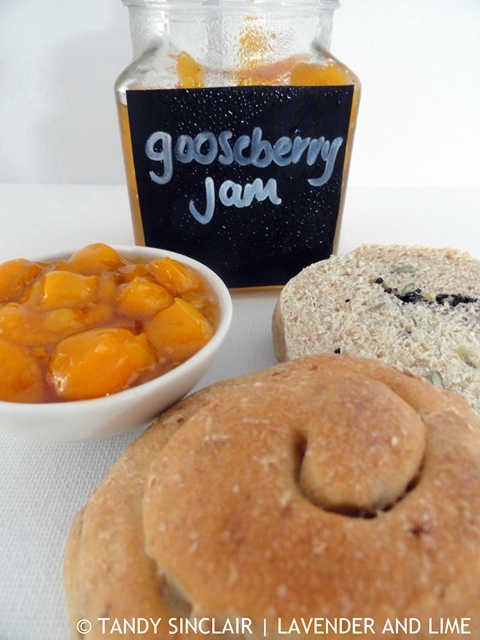 I don’t fond gooseberries sweet enough for me but a jam would fix that issue nicely! Mine did quite well until the drought hit.